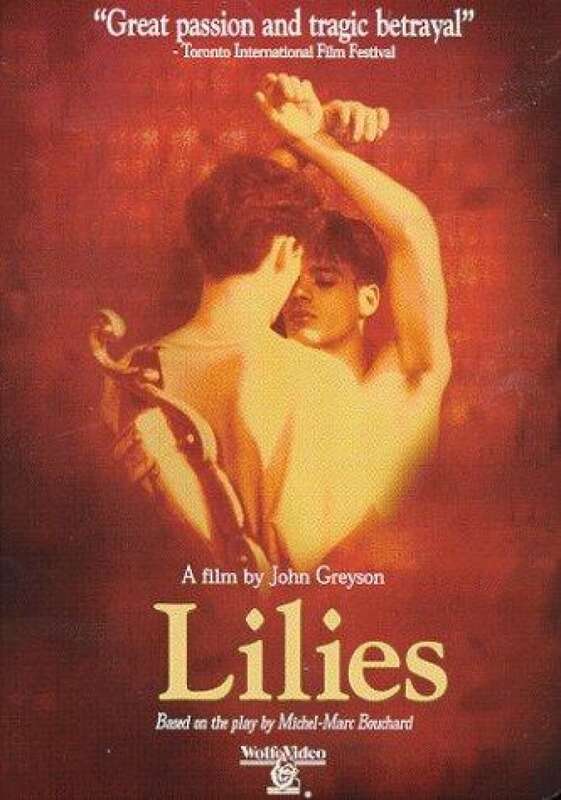 Two decades after the milestone victory of John Greyson's 'Lilies', has the Canadian film industry continued to evolve in its recognition of LGBTQ cinema? One of the many, many milestones that came with Moonlight's Oscar win last month was that it was the first film featuring a lead LGBTQ character to ever win best picture. And as we head into the Canadian Screen Awards this weekend (which are essentially our very own Oscars and Emmys combined), it's interesting to note that it's likely our big winner will also feature a leading LGBTQ character if Xavier Dolan's It's Only The End of the World wins best picture as expected. But unlike Moonlight, it wouldn't be the first time — or even the second. Until 2011, the Canadian Screen Awards were split up into two separate entities: the Geminis, which honoured Canuck television, and the Genies, which awarded film. And the Genies gave their top prize to a film with a lead character that is explicitly LGBTQ — twice. The 2006 ceremony saw Jean-Marc Vallée's C.R.A.Z.Y. win 10 award including best motion picture, just a few weeks after the Oscars controversially snubbed Brokeback Mountain in favour of Crash (which was oddly enough, directed by Canadian Paul Haggis). But C.R.A.Z.Y. was actually a decade late in terms of breaking the Genies' LGBTQ barrier. John Greyson's Lilies went into the 1996 Genie Awards with a stunning 14 nominations — a count of La La Land proportions. Adapted from a play by Michel Marc Bouchard (who was also behind Xavier Dolan's Tom at the Farm), the film is set in a 1950s Quebec prison, but flashes back to 1912 by way of a play set within the film. Most of the film consists of the play, which is about two young men played by Matthew Ferguson and Jason Cadieux — each Genie nominees themselves — both trying to come to terms with their sexuality. Which is hardly a synopsis one would've called "awards bait" in the mid-1990s — but somehow, it ended winning best picture over the latest film from David Cronenberg (which, in an interesting twist, was also called Crash). "We were so many proverbial deer in the headlights, both when the 14 noms came out, but especially winning best picture that night," John Greyson says of the Lilies team's reaction to the awards. "In particular, beating Crash was truly shocking, because I still think it's David's masterpiece." Greyson also said that, to be fair, he thinks Canada and especially Quebec have "always been a good home for queer films." "Pioneers like Claude Jutra and Outrageous! and Lea Pool and Patricia Rozema and Bruce LaBruce [broke] such important ground," he says. "Though for me, the vitality was always in the gutter, with the experimental film/video artists like Richard Fung and Colin Campbell and Midi Onodera. So, yes, it remains delightfully enigmatic to this day as to why our strange Genet-inflected-via-Fellini fable about Lac St. Jean got plucked!" So 20 years later, has the Canadian film industry continued to evolve in its recognition of LGBTQ cinema? "There remains much myopia and delusion at the level of distribution, both on the part of filmmakers and also our distributors," Greyson says. "But we do have a wealth of dynamic new voices that are seizing the stage and the microphone — everyone from Xavier Dolan and Chelsea McMullen to Lina Rodriguez and Isiah Medina and Wayne Wapeemukwa, who just locked his new radical experimental feature shot on Vancouver's downtown east side. I go to camera in two weeks on the final scenes of my two new features (yikes! ), and I'm feeling like Lilies happened to us all just last week." Just last week? By next week, Canada could very well have completed its LGBTQ film hat trick if Dolan's World wins best picture. That's basically one win every ten years since Lilies, which is an average Kinsey would approve of. Let's just hope that next time, it's not a movie about a gay white man. You've still got us there, Moonlight. The 2017 Canadian Screen Awards air Sunday, March 12 at 8pm local time (9pm AT/9:30 NT) on CBC TV or stream them online here starting with the red carpet at 7:30pm ET.